Goodreads: A mysterious island. An abandoned orphanage. A strange collection of curious photographs. Hi Guys! 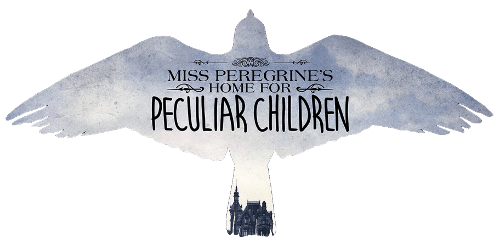 Today I am going to be reviewing one of my favourite books, Miss Peregrines Home for Peculiar Children by Ransom Riggs. This book I had seen a little bit of a hype about. My “friend” read and recommended it to me. I am not much of a paranormal/horror person. I seriously freak out. That’s why I set back reading this for a while. I just did not want to be involved! I saw it for about $10 in BigW and new immediately I couldn’t put it off any longer. I got home in the afternoon, crawled in my bed, ready for the nightmare within. But as soon as i read the first page i was sucked in, paralyzed in my bed to read it. He is such a fabulous author and it is so amazing how his first book became such a success! He is pure brilliance. Let’s start of with the cover. It is what initially dragged me in. It was just so unique, and I love individuality a lot in society, so I knew right away I needed to read it. I love, love, love the inclusion of the photographs, it again creates uniqueness and it really allowed me, as a reader, to engage and visualise the characters easier. Although the printing wasn’t the best, the photographs made my hands go grey with chalky ink, which was kind of a let down but otherwise they were brilliant and really captures the essence of each character appropriately. The plot, oh my gosh, it was so captivating, it just drew me in. The tension throughout the novel was effectively introduced and really allowed me to create theories and endings in my own mind. The plot is something you wouldn’t expect and it is really edgy, the uniqueness (which i keep talking about) in the plot just sets it apart from all other books. The characterisation in the novel is well-built and appropriately ties in with the photographs. Peculiarities were very interesting and easily showed the characters opinions and personality. e.g. Hugh and his bees represents he is trustworthy and is loyal to all those around him. I am so glad I picked this book up and I have yet to read the third book in the series. If you haven;’t read it, it is a must read to all those bookish people in the world.